BioBeat’s Movers and Shakers 2017: Who’s leading the collaborative drive in biobusiness? BioBeat’s Movers and Shakers 2017: Who’s leading financial innovation and growth in biobusiness?BioBeat’s Movers and Shakers 2017: Who’s helping to improve patient care? As an innovative collaborative platform for bioscience, BioBeat recently released its 50 Movers and Shakers in BioBusiness 2017 report. This demonstrates the exceptional leadership in life science across five key translational themes. In the last two blogs, we focused on the report’s Great Science and Financial Enablers themes, which recognized 10 talented scientists and 10 financial experts who are making a significant impact towards solving our global healthcare challenges. Below we explore the report’s Collaboration theme, highlighting the incredible achievements of women who bring together different groups across life science, kindling new ideas that will ultimately benefit our health. Innovation and success in bioscience is becoming ever more reliant on collaborative approaches, such as partnerships and permeability between industry and academia. As a champion of this movement, BioBeat’s 50 Movers and Shakers in BioBusiness 2017 report presents 10 talented women leaders who are instrumental in bringing together different communities to drive forward discovery in life science. One of the leaders celebrated in BioBeat’s report is Professor Véronique Birault, Head of Translation at the Francis Crick Institute in London. Véronique is pursuing an approach that optimizes industry-academic collaboration, accelerating the translation of the institute’s discoveries into disease diagnostics or treatments. Together with her team, she has established a ‘close distance translation relationship’ with two of the largest UK pharmaceutical companies, GSK and AstraZeneca. Véronique will be delivering the welcome address at the upcoming BioBeat17 summit on 16 November, hosted at the Crick. Another trailblazer recognized in the report is Barbara Ghinelli, Business Development Director at the Harwell Science and Innovation Campus in Oxfordshire, UK, where she is nurturing the HealthTec Cluster. Barbara is fully leveraging unique science facilities, such as the Diamond Light Source, by bringing together academics from bioscience, the physical sciences and engineering, as well as innovative healthcare companies, to forge ground-breaking cross-disciplinary discoveries. 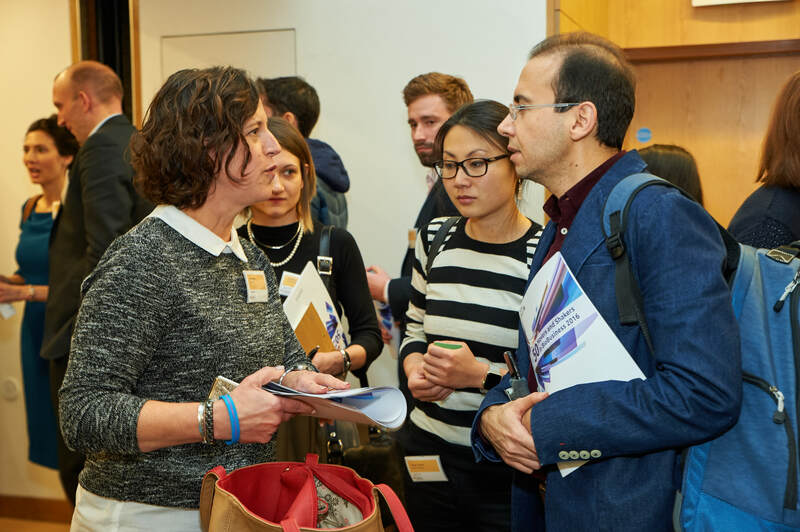 Also presented in the report’s Collaboration theme are two “Rising Stars”: Professor Joanne Hackett, Chief Commercial Officer at Genomics England, and Bhavna Hunjan, Head of Corporate Strategy & Development at C4X Discovery. Joanne is ensuring that the huge data asset offered by the 100,000 Genomes Project is delivering benefits across the board, including in the clinical, academic and industry sectors. For example, after a collaborative analysis of rare disease patients revealed three potential candidate novel genes, Joanne instigated follow-up analyses to expand the clinical relevance. In her role supporting the commercial department of C4X Discovery and re-shaping its strategy with its CEO, Bhavna is establishing collaborations with international organisations to harness the best drug discovery capabilities for the development of new treatments. She is also developing alliances with UK non-profit organisations to maximise the impact of intellectual value developed by academics and in-house at C4X. Download BioBeat’s 50 Movers and Shakers in BioBusiness 2017 report.